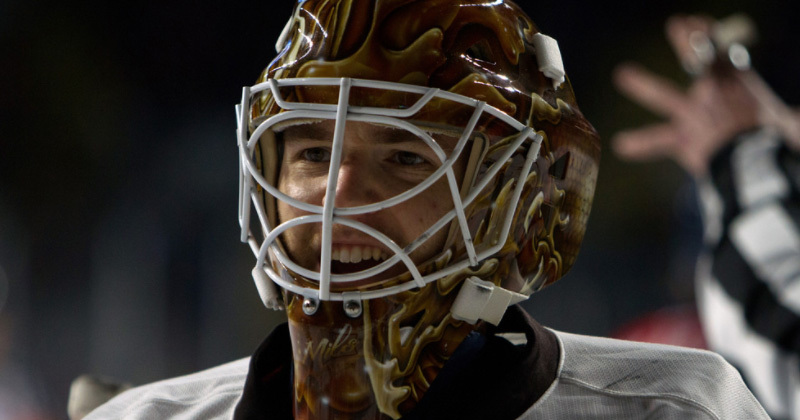 10/18/2018 - The Hershey Bears announced today that the club has recalled goaltender Parker Milner from the club's ECHL affiliate, the South Carolina Stingrays. Milner, 28, has appeared in two games with the Stingrays this season, earning his first win Tuesday in Orlando. He was named the Warrior Hockey/ECHL Goaltender of the Year for his work in 2017-18, posting a 28-7-3 record with the Stingrays. His goals against average of 1.86 was the best in the ECHL, and the fourth best in league history.The two-time national champion at Boston College opened last season with Hershey, going 1-4-1 with a 3.81 goals against average in six appearances with the Bears. Additionally, the club has released goaltender Padraig Carey from his amateur tryout agreement. Carey, who played at the Indiana University of Pennsylvania, served as the backup goaltender in last night's 3-2 victory at Wilkes-Barre/Scranton. The Bears visit the Charlotte Checkers for a pair of games this weekend. Hershey takes the ice Friday at 7 p.m. and Saturday at 6 p.m. versus its Atlantic Division rival. Both games may be heard on the Bears Radio Network and viewed on AHLTV.